Based on its corporate and management philosophy of an “upright company,” “a company that is awake,” and “a company that shares with customers,” KT&G is pursuing “management in principle that sees long and distantly” to contribute to customers, shareholders, the country, and society. This is declaring that all members should silently perform their work based on high morality and transparency to create outcomes and fulfill their responsibility and obligation to diverse stakeholders. Diverse programs such as an ethics oath, sexual harassment prevention activities, and the Think Twice campaign are continuously operated for KT&G personnel to establish ethical management. Promising that they will be sufficiently acquainted with the ethics norms and ethics practice guidelines and take the lead in ethical management when they perform their work in Korea or overseas, all personnel sign a written oath for ethics at the beginning of every year. Sexual harassment prevention activities are being conducted to lessen the perception and practice of sexual discrimination and to form a beautiful and healthy workplace culture. In particular, sexual harassment prevention measures are prepared based on an analysis of related laws, other companies’ cases, and in-house systems, and in-house cyber education is implemented once a year to enhance personnel’s sense of ethics. By sharing events and accidents by type every six months, the attention of personnel is aroused and the recurrence of similar cases is prevented. 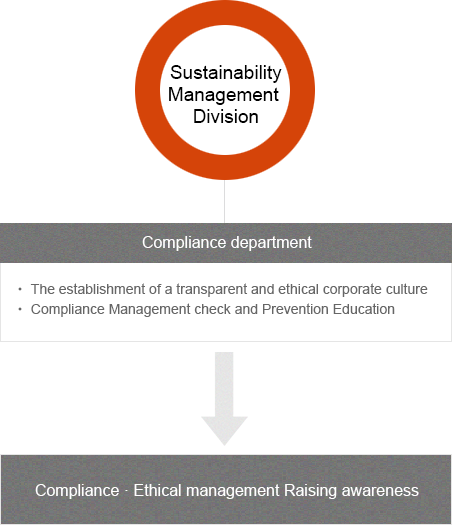 KT&G is engaged in activities to establish a corporate culture of ethical management under the leadership of the Sustainability Management Headquarters in order to establish the highest level of corporate ethics and to establish active ethical members.